Armenian Prime Minister Nikol Pashinyan set the date of the snap parliamentary election - December 9, 2018, the Zhamanak newspaper reported with reference to a source close to the government. According to the republic's Constitution, the parliamentary snap election is held not earlier than 30 and no later than 45 days after the dissolution of the National Assembly. 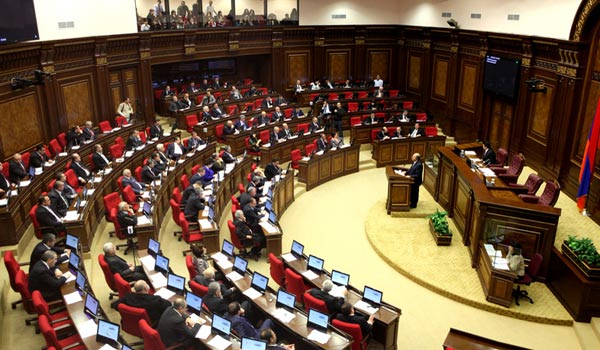 "If we are to accept that the elections will be held 45 days after the dissolution of the NA, then Pashinyan must resign tomorrow or the next day so that the NA will be unable to elect a Prime Minister, the parliament is deemed dissolved by force of law within a two-week period, and 45 days after that, the parliamentary elections are designated," Zhamanak wrote. "Though it is not ruled out that the elections are designated 30 days after the dissolution of the NA; and in that case, Nikol Pashinyan’s resignation may take place within the last ten days of October," the newspaper added.